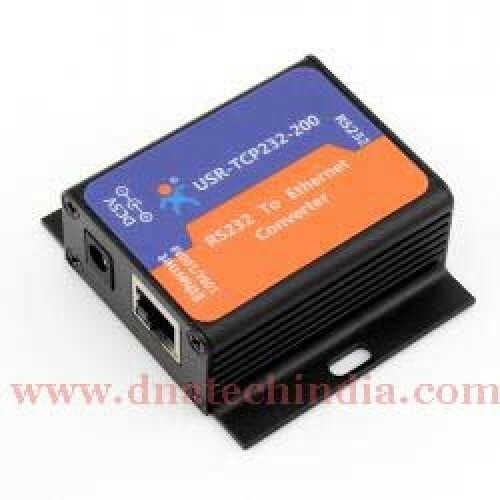 Buy online USR-TCP232-200 Serial RS232 to TCP/IP Ethernet Converter in India. This is Next generation of IOT Module. Want to interface your microcontroller based product/project to Ethernet without much hassle? Well then this is the perfect module for you. If you have an existing product with RS232 interface then just used this Serial RS232 to TCP/IP Ethernet Converter (Serial server) no need to change your hardware or even your code just connect your hardware to this module and our Serial RS232 to TCP/IP Ethernet Converter will do the rest. This module is suitable for connecting serial industrial automation equipment such as PLC, sensors,meters, motors, drives, bar code readers and displays and design. Serial server module is widely used in attendance, access control systems, Canteen machines, POS systems, building control, fire control, the banking system, engine room monitoring, UPS monitoring, power, oil, environmental monitoring, industrial applications and other areas. This module is suitable for internal LAN users in a simple to use applications. 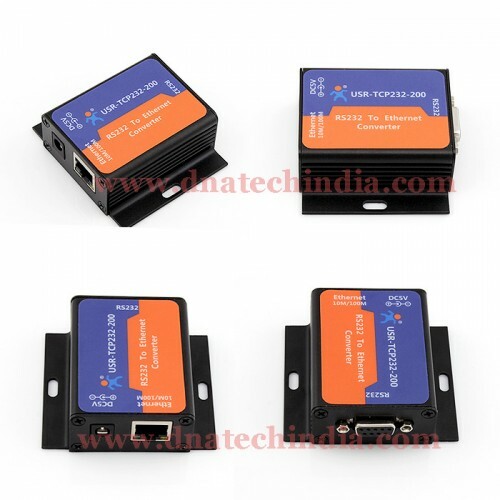 USR-TCP232-200 Ethernet to serial converter is an Equipment for convert TCP or UDP socket data to RS232. Easy to use, low price, low power, 32 bits ARM on board, high speed , high Stability. This is a multi-functional embedded Ethernet to serial data conversion device that integrates a TCP/IP protocol stack, the user can easily use it to network functionality of embedded devices, upgrade the existing serial devices into a network function, saving human and material resources and development time, make the product faster to market, enhance their competitiveness. 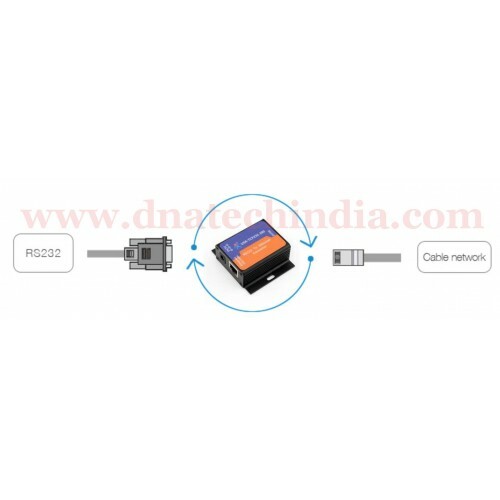 There is 10/100M auto detected RJ45 interface, RS232 baund rate up to 230.4Kbps, can work at TCP Server, TCP Client, UDP client and UDP server mode, setup easily via software. ENC28J60 Mini Ethernet ModuleENC28J60 Ethernet Module utilizes the new Microchip ENC28J60 Stand-Alon..